Work for the exciting new Silverstone UTC is a step closer following the selection of Interserve, the international support services and construction group, as the preferred bidders to write up a final contract and manage the construction of its brand new £10m campus. 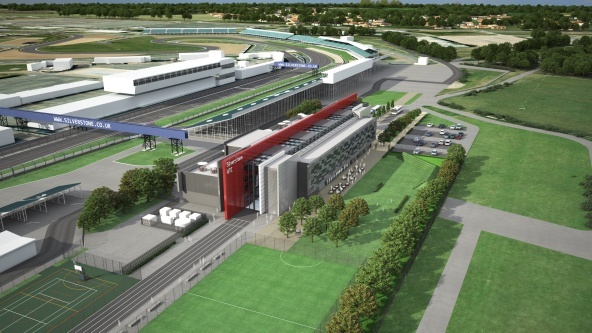 The Silverstone UTC facilities will be situated at the northern edge of the Silverstone Circuit, opposite the National Pit Straight, offering specialist technical curriculum for 14 – 19 year olds in high performance engineering and technical events management. Up to 576 students will be based at the Silverstone UTC to learn from skilled experts and undertake industrial challenges to gain the relevant experience required for careers in engineering and events management. Interserve is one of the world’s foremost construction companies with experience in supporting the creation of inspirational educational environments that meet the evolving needs of pupils, staff and the community. The Silverstone UTC is an educational partnership between Tresham College of Further and Higher Education, University of Northampton and Silverstone Circuits. Northamptonshire County Council have provided full support for this project and will continue to work with all partners and manage the contract with Interserve ensuring the new facilities benefit young people in and around the circuit and improve employability within the county.